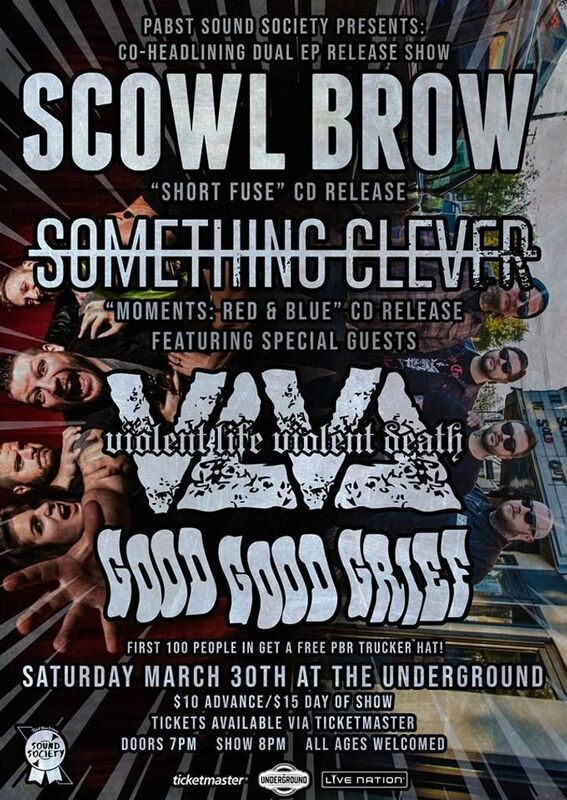 We're having a dual EP Release show with Scowl Brow along with special guests Violent Life Violent Death and Good Good Grief. You know how fast the last hometown sold out.....with this line up, you better get your tickets early for this one. Something Clever is an AWESOME band, they are a must see band. Thank you Fillmore-Underground for hosting the show. Excellent show!! The band was really ON last night. Love Southland Ballroom!